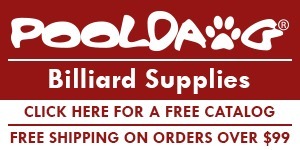 The 2015 World Pool-Billiard Association (WPA) World 9-ball Championship is taking place at the Al Arabi Sports Club Sports Club in Doha, Qatar from September 7-18, 2015. 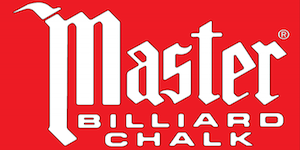 The winner of the 2015 World 9-ball Championship will receive $30,000. The runner up will receive $15,000. The total prize fund is $200,000. After his spectacular win at the 2014 World 9-ball Championship 15 months ago, the Netherlands Niels Feijen is ready to do it all over again. When the Netherlands Niels Feijen arrived in blazing hot Doha in June of 2104 he was, without a doubt, playing the best pool on the planet. 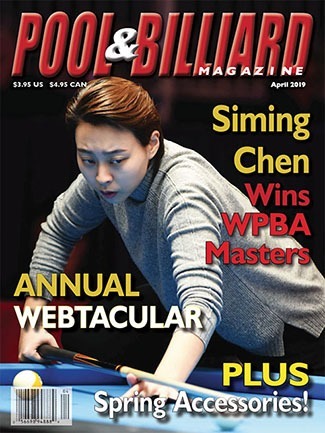 The friendly and hard working Dutchman had won six out of the last seven tournaments he had entered, an almost unheard of statistic in the brutally difficult world of professional pool. Before that, in late 2013, he had been named MVP of the winning European Mosconi Cup team in Las Vegas. He had also captured Matchroom Sport’s prestigious 16 player World Pool Masters for the very first time. 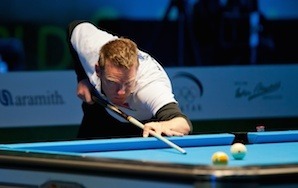 Clearly, Feijen entered the 128 man 2014 World 9-ball Championship as one of the favorites. Of course topping a stacked field of 128 of the best pool players is never, ever a sure bet. The stars literally have to line up in your favor for you to become a World Champion in a sport where luck can definitely rear its finicky head. But if you were a betting man, you surely could have done a lot worse than plunking your entire stash down on Feijen to win the big one. For Feijen, however, there were still some questions to be answered, demons to conquer as he entered the fray in Doha last year. Despite a brilliant 18 year career that had seen him consistently perform at the top of the sport, there was talk from some pool circles over the last few years that perhaps he might never win the big one, and that he would be forever known as a great player who failed to reach the super elite. The obvious examples were Feijen’s two straight finals losses at the World 8-ball Championships in 2010 and 2011, the former a hill-hill barn burner. But the then 37 year old had several aces up his sleeve that weren’t at first obvious to the casual observer. For the previous 18 months, Feijen, generally known as an offensive player, had been working meticulously on improving his safety game, practicing defense religiously with Dutch coach Alex Lely. Feijen also found personal comfort in family life, as he and his Danish wife Kat were now raising their young daughter in Denmark. This allowed Feijen an avenue to escape the sometimes maddening life of the professional pool player. The moment of glory: Niels Feijen reacts to winning his first World 9-ball ChampionshipThus it all came together famously for Feijen as he navigated through the field in Doha in June before grinding out a hard earned 13-10 victory over Austria’s Albin Ouschan in the final. As he sank the final 9-ball, Feijen momentarily collapsed down onto the table in sheer delight and relief that he had finally pulled off his greatest triumph. Now, 15 months on from that life changing achievement, Feijen enters the 2015 World 9-ball Championship playing under different circumstances than last year. 2015 hasn’t seen Feijen perform quite as magnificently as he did in 2014. He and Kat have had another daughter and with a growing family he’s had to juggle his professional and personal responsibilities. Still, he’s as dedicated as ever to the sport, still learning and expanding his knowledge and still hungry for more wins. His two Euro Tour wins and European 8-ball Championship this year prove that the 38 year old still has the goods to win anytime he steps into the arena. WPA Press Officer Ted Lerner recently caught up with Feijen for a Q & A as he was preparing to do battle in Doha. Said Lerner: “I’ve known Neils Feijen for more than 15 years and have always admired his game. Disciplined, dedicated, a fierce competitor, always physically and mentally fit for battle, gracious in both his many victories and bitter defeats, Feijen is the very testament to that age old adage that pure, unadulterated hard work does have its just rewards. His win in Doha last year was monumental because there were people talking that he may never win the big one and he was under serious pressure to snap one off. TL: Since you won the World 9-ball championship 15 months ago, what has life been like for you as you travel the globe as the champion of the world? NF: It was an amazing roller coaster 15 months. I think I won 6 tournaments in a row starting from an event prior to the 2014 World 9-ball Championship. Then after winning I got runner up at the World Cup and another Mosconi win. Then the birth of Sine(Niels’ second daughter) was the most important thing so 2015 has been mostly about finding new balances again with two little girls. Kat had to have another cesarean so the startup phase was tough again. I was still happy to win the Euro Tour in February then the European 8-ball title and another Euro Tour a few weeks ago. TL: The World 9-ball Championship is so hard to win. Looking back, what were the key factors in the lead up to and during the event that led to you winning the tournament? NL: I think I was peaking mentally. I never got weak one second after mistakes. My composure and focus were great and my form was fine. So it was mental A game. TL: You are known in the pool world for your incredible work ethic. Since winning the world 9-ball championship, have you continued to train and practice just as hard? Give us a glimpse into your training regime. NF: 2015 has been more of a roller coaster because of the birth. On average I put in about 2 solo hours a day and 4 if I spar with someone. But also I do a lot of mental work and biking plus Pilates. It’s more juggling then last year. With a new baby I have to be flexible with training moments. But we manage fine. TL: So obviously you are committed to spending quality time with your wife and now two young daughters.. How has having a family life helped you in your pool career? NF: My girls keep me very grounded. I don’t let any tournament win get to my head because it’s straight to diaper duty when I’m home(smiles). It’s back to the real world when I enter home and that makes me take my moments at the table even more seriously and more special. That’s my moment for me. TL: For many years you were known as a very offensive player. Then you purposely studied and worked on your safety game. 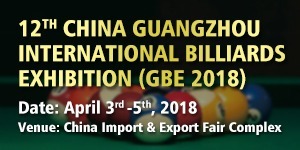 How important was the new knowledge in safety play to your winning the World 9-ball and other tournaments? NF: It gives me more back up when my A game isn’t there. I can switch more in my match tactics. Alex Lely and I are still working on situations left and right to keep developing. It’s very cool and completing. TL: You’ve been at this sport professionally for two decades. It’s an unbelievably tough grind out there to be successful, as tough as any sport. What keeps you motivated after all these years? NF: To be honest, it’s painful to see how after so many years the sport is still at the same level. 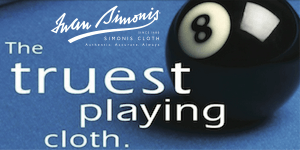 The IPT(International Pool Tour) was the biggest chance we had as players a few years ago. I keep motivated by trying to keep improving like I did when I was younger. For me the kick is to play good pool. Some years I’ve been more motivated then others but that’s normal because you can do this sport into your 50’s. It comes and goes and that’s fine because I only live once and pool is not the only thing I live for. 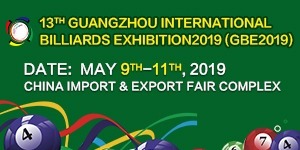 TL:How are you feeling coming into this year’s World 9-ball championship? Are you confident you can repeat? What is your prediction? 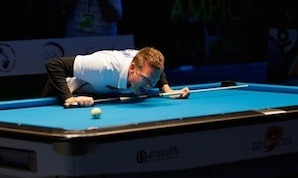 NF: Repeating a World 9-ball Championship is very tough. What I reached last year was last year. This year is a new 128 hungry field and if you want to beat top players you better be ready. That being said, I know how to win there(in Doha). It’s a matter of sharpening all the pencils, emptying the mind and preparing for pool war. ← HOT TIPS: Position Play – Zone or Exact ?